Vera is a little nervous around the camera, but not as phobic as this photo would suggest. She was actually enjoying a good scratch! She and her partner (Hank) are one of many young couples starting out and trying to raise a family here in East Vancouver. The two of them started hanging out in my garden regularly a few weeks ago. Sadly, I haven’t seen Eric in a while, but I’m hoping he’s just busy nesting nearby. I hope to see him again in the fall. Vera and Hank have been busy ransacking my trees for branches that are “just right” for weeks. I soon began to suspect they had plans to settle in the area. They fly in and out of a big tree close by, so I’m pretty sure that’s their new address. This will look fabulous in the living room! A couple of weeks ago I noticed Vera begging for food and being fed by her partner, another sign that babies are on the way. Finally, I noticed a big pink patch of featherless skin under Vera’s belly. At first I was worried that she’d been in a fight and gotten injured, but then the phrase “brood patch” popped into my head. I’m nervously monitoring their progress. They both seem pretty young. Vera, in particular, could be one of last year’s babies. 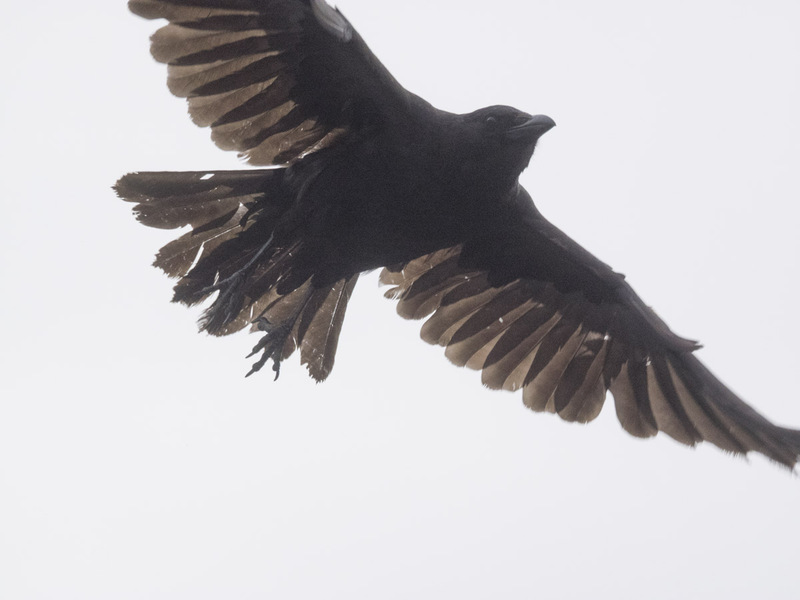 She still has the brownish feathers of juvenile crow. It seems that she’s pretty low ranking in the crow-verse. 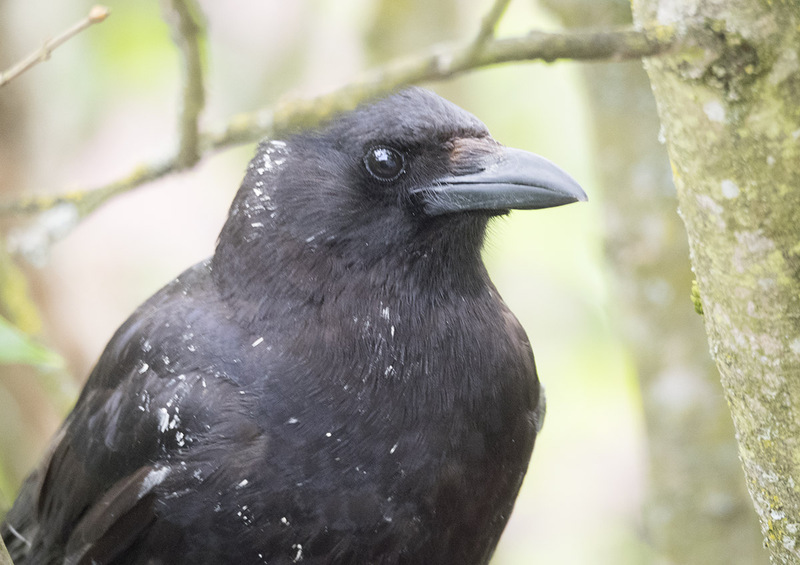 When I first saw her she’d appear in the morning adorned with droppings, meaning that, in the crow roost, she got to sleep on the lower branches. 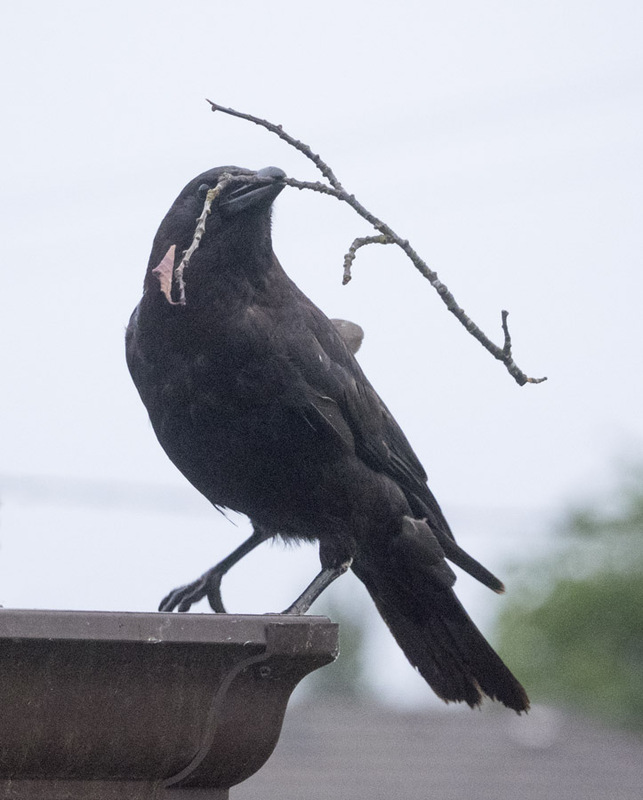 High branches are reserved for the senior crows, like Eric. Lately she’s been cleaner, probably because she’s not going to the roost at night, but staying with Hank to guard the nest. Curse those higher up crows! Vera looks as though she’s having a bit of a hard life. 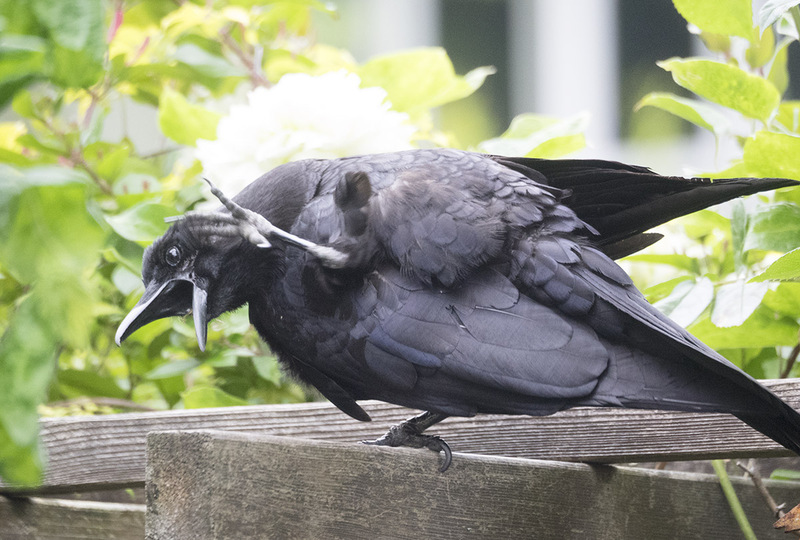 Her feathers are strangely tattered — the Cinderella of the crow world. She’s clearly at the opposite end of the crow hierarchy from Eric the Magnificent. I named her Vera after one of my favourite British TV detectives. The fictional Vera is tough and determined, so I’m hoping some of that will rub off on this “Vera”. 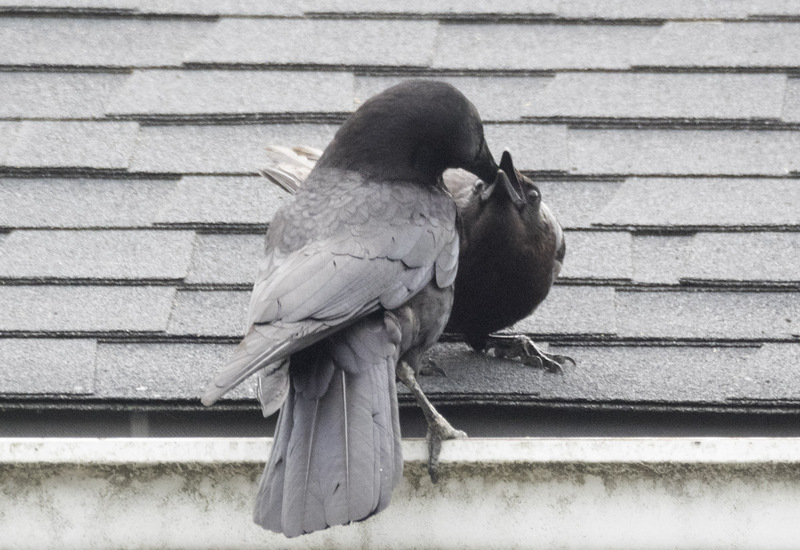 She’ll need all the help she can get make it in the rough and tumble world of the urban crow. I’ll keep you posted on any developments in the baby crow department! 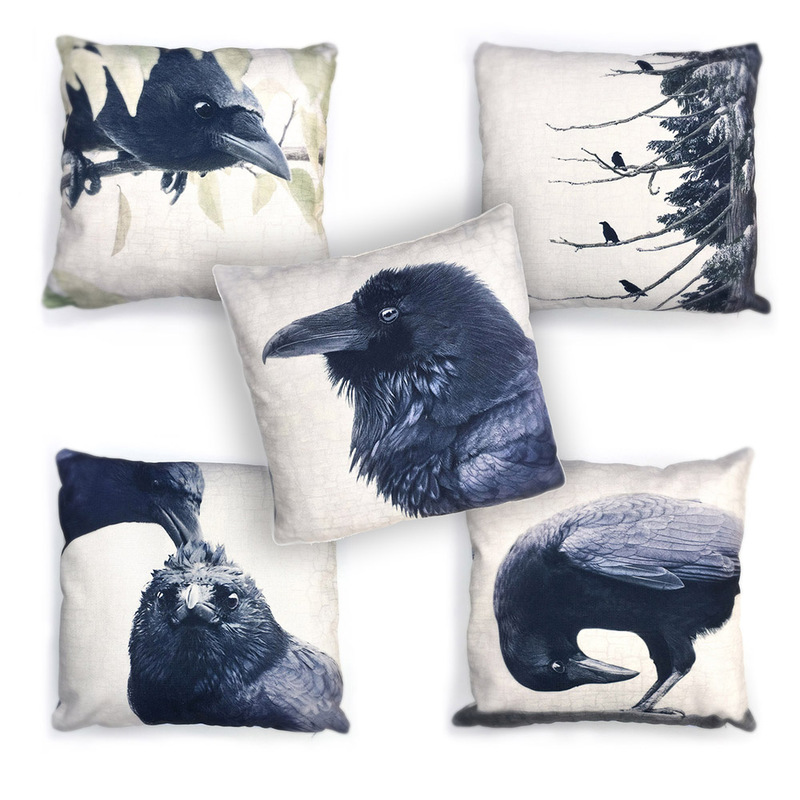 For portraits of the crows of East Vancouver, check out my web site. 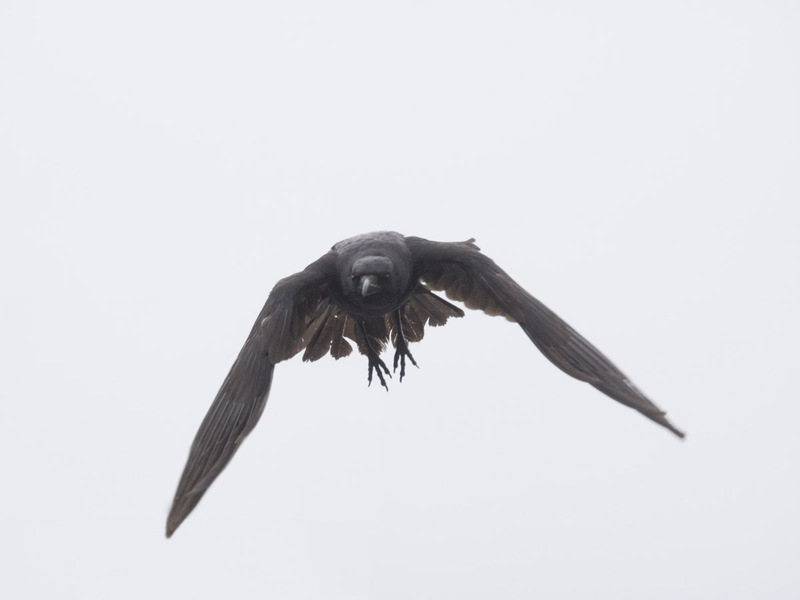 ← Look out – Crow! How do you do Vera! June, I love your stories, and I learn so much about crows. Especially that part about being on the lower branches. Poor Vera! Hopefully motherhood gives her a place of her own!